Which came first, the function or the form? Regardless of the course your build takes from start to finish, there's no reason it can't be seen as both technology and art. If you were paying attention over the holiday season (and even if you weren’t), you couldn’t help but notice an upsurge in free-form soldering projects. The idea of free-form soldering is just as it sounds: release yourself from the confines of breadboards and PCBs, and create a circuit with just components and wires. But there’s more to it than that - beyond just soldering wires to components, the heart of free-form soldering is to create a sculpture, something that is at least as aesthetically interesting as it is technically interesting. You can find these beautiful pieces all over the web. 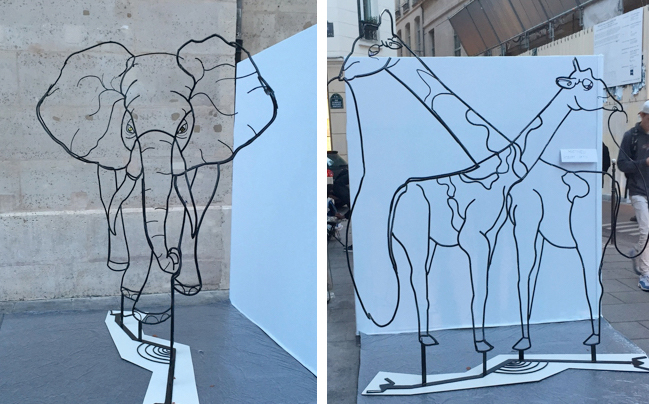 Hackaday held a Circuit Sculpture Contest, which this year saw over eighty submissions. Mohit Bhoite made some really beautiful pieces this year, like this Tie Fighter alarm clock, and shared many more. And of course, I think we all remember the piece that really thrust free-form soldering into the public eye, even beyond maker circles. I’m talking about The Clock, by Gislain Benoit at Techno Logic Art. Posted back in 2014, this is one of the pinnacle pieces of free-form soldering. Mind-bendingly complex, and mesmerizingly beautiful, the creator of this piece of art (or piece of technology) even goes as far as to “sign” his name to the piece, in meticulously bended wire. Gislain Benoit's The Clock, and one of his lesser known but no less impressive works, The Tower. I had not done any true artistic free-form soldering before, so I thought, "If I’m going to write about it, I should try it." Some immediate thoughts that came to mind were things like, does all of the wire serve as part of the circuit, or is some of it purely for structure/aesthetics? Should I draw out the shapes on paper and try to form them that way, or should I 3D print forms? Do I have a prayer of getting this done by my deadline? I wanted to just use stuff I had at my desk - certainly not ideal. I dug out some 22AWG Magnet Wire, which I guess is technically cheating, since it’s enameled and would therefore be more forgiving regarding incidental contact of the wires. Brass rods, perhaps around 14AWG, would have allowed my piece to better hold its shape, and would have been prettier, but would have been a little tougher to work with. However, brass rods weren't at my desk, so the flimsy magnet wire would have to do. For the circuit, I chose a very simple fading LED circuit using a 555 timer. For the sculpture, I drew inspiration from my Secrete Santa gift, a sweet art print of the Saturn V (thanks, Megan!). The 22AWG wire did nothing to help the Saturn V maintain its shape. However, it does look just like the rocket I drew when I was four or five. I found this to be a wonderful exercise., I have always loved technological builds that don’t just look like technological builds. I think the thing that sticks with me is how it really forces you to know and understand your circuit - to take those components off of the breadboard, come up with a shape, and figure out where the components should live and how they should be wired together is a whole new adventure. It really works both hemispheres of the brain, forcing them to work together. And while my final outcome is little more than proof NASA’s early successes can largely be attributed to the fact I was in no way connected to our space program, I really enjoyed doing it, and will definitely be doing a little more free-form soldering this year. The idea is that one is utilitarian, while the other, while still being functional, is more aesthetically pleasing. The jury is still out on this one. Of course, as I’ve stated before, I believe that anything worth doing is worth overdoing. 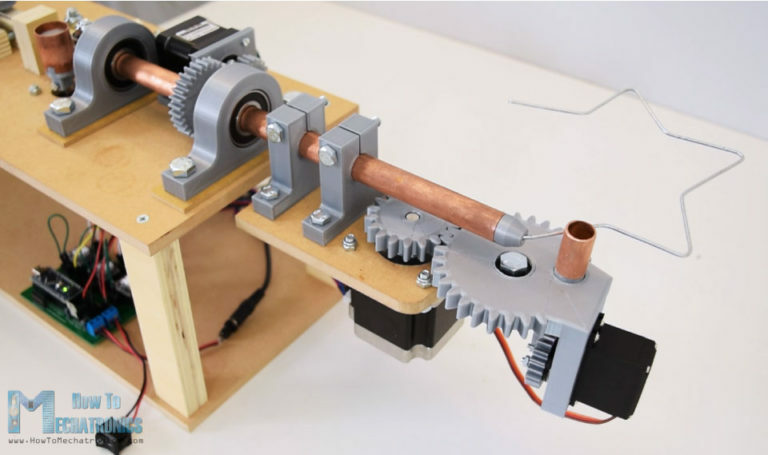 So perhaps I’ll recreate this slick Arduino-based 3D wire bending tool from Dejan at How To Mechatronics to help me create my wire shapes. It may take a while to program in each of your free-form wires, but once done, your projects become easily repeatable. If I want to go really crazy, and through some radiation accident I obtain artistic and sculptural super powers, I may consider attempting to build a circuit into an anamorphic sculpture, like the beautiful works of art created by Matthieu Robert-Ortis. No matter what I do, I'm going to need to start with a thicker gauge wire! Amazingly, these images are of the same sculpture, shot from two different angles. See the GIFs in the link above for the full effect. If you have any free-form soldering you’ve done, we’d love to see your work. Add a link in the comments section below! This morning, Hackaday released the list of their dozen favorite circuit sculptures, along with a couple of honorable mentions, as they also celebrate the 80+ people who entered. Take a look at the winners list, here. Get inspired, get excited, and get hacking! Remember, when I was a kid I tried to do something similar to this. Eventually, I turned the light off in my whole neighborhood when I plugged it in. Recently, I had to write my assignment on soldering and brazing and a practice task was to create free-form soldering. I confess, but I stole the whole idea from this tutorial. So these pictures show what my soldering looks like. Friday Product Post: What's the Skinny?